Having yellow spots on your teeth is awful for your smile. Of course, it is not good to feel self-conscious and insecure every time you want to laugh. Now, there are a few methods and treatments to get rid of them forever. How to get rid of yellow spots on teeth? It is important to know first what caused your yellow spots because if you stop the bad habit you can make sure it will not come back. Now, that is not enough to get rid of the yellow spots that you already developed. To do that, you are going to need to know a few tricks and treatments that will help you eliminate them. It is always good to consult with your dentist before trying anything. This article is not to substitute that but only to help you. Now, do you know what the most common reasons for yellow spots on teeth are? If you do not, do not worry. In this article, we show you that and how to treat it. Contrary to popular belief your tooth does not become yellow only when you smoke or does not take care of it. The most common reason for yellow spots on teeth is the decay of the tooth enamel. The enamel is the tissue that gives the tooth its color and protects it. When certain foods, drinks, and acids from the stomach cause its decay, you get yellow spots. Now, obviously, you can get yellow teeth if you smoke throughout many years or if you have poor hygiene habits. Cutting straight to the chase, below you can find out how to get rid of yellow spots on teeth for good. Brushing your teeth frequently is the first line of defense that you have. This can treat yellow spots and most importantly, it prevents it. When you brush your teeth frequently, especially after you eat and drink foods and beverages that make your teeth yellow, you remove the substances that are the cause of the problem. Also, the tooth enamel gets revitalized if you keep cleaning your teeth. It is important though, to do it properly. Brush the teeth in circular motions, protecting your gums. Do it after eating and drinking certain beverages and foods for three minutes at a time, and you will be good to go. This is one of the most natural and efficient ways to get rid of yellow stains on your tooth. 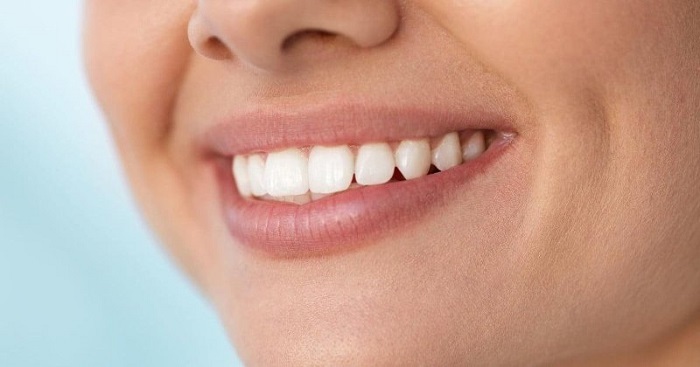 The baking soda and the hydrogen peroxide act in the enamel tissue, removing the yellow spots, whitening the teeth. Your options here are to look for a toothpaste that contains both the ingredients in its composition and use it frequently every time you brush your teeth. The second option that is gaining a lot of popularity, is to make your own toothpaste with the baking soda and hydrogen peroxide. You can make it by mixing 2 tbsp of hydrogen peroxide for each tbsp of baking soda. You can also add mint or coconut oil to insert some flavor in it. Here the best thing you can do is by using toothpaste that contains activated charcoal in it. This is because the other option is to get capsules of activated charcoal and use on your teeth. The catch is that activated charcoal can be abrasive on your gums and teeth. So be careful if you use it the charcoal on your teeth. A good tip could be to dissolve it into the water and do mouthwash with it. Another option is to put some in your toothpaste in case the one you use does not already have it. Never leave it in the mouth for more than three minutes because, as said earlier, it can be abrasive to your gums. So, swirl it around the mouth and spit it in the sink afterward. I recommend Active Charcoal Powder (click to for current pricing on Amazon). Red wine, coffee, beetroot, and blueberries are great examples of foods and beverages that cause stains on your teeth. So, it is important to avoid them as much as you can. Now, it does not mean that you have to stop eating them altogether. You can still do it, but it is best if it is as exceptions. Another solution is to brush your teeth right after you consume them. So, keep in mind that you do not need to stop consumption, but you do need to make sure you do not overdo it. Again, the coconut oil. It may sound crazy the variety of functions that the coconut oil can have on our lives, but it is true. This sounds like a miraculous product, but it is nature at its best. Coconut oil’s properties act by fastening the process of the enamel tissue restoration and eliminating the plaque that forms in front of the tooth. This makes your tooth cleaner and removes the yellow spots. All you have to do is blend the coconut oil with warm water and swill around your mouth for five minutes. If you do it frequently, you can achieve the desired results. The most obvious one and the least natural can be the solution for you. It is important to point out that whitening toothpaste helps to whiten the teeth in approximately two shades and also removes certain stains. Now, the toothpaste will not make miracles. The chemicals can also be aggressive on your teeth and gums so pay attention to the overall health of your mouth. As you can see there are a lot of options for you to get rid of those yellow stains on your teeth. All you have to do is pick a treatment and stick with it. I recommend Crest Whitestrips (click to see current pricing on Amazon).